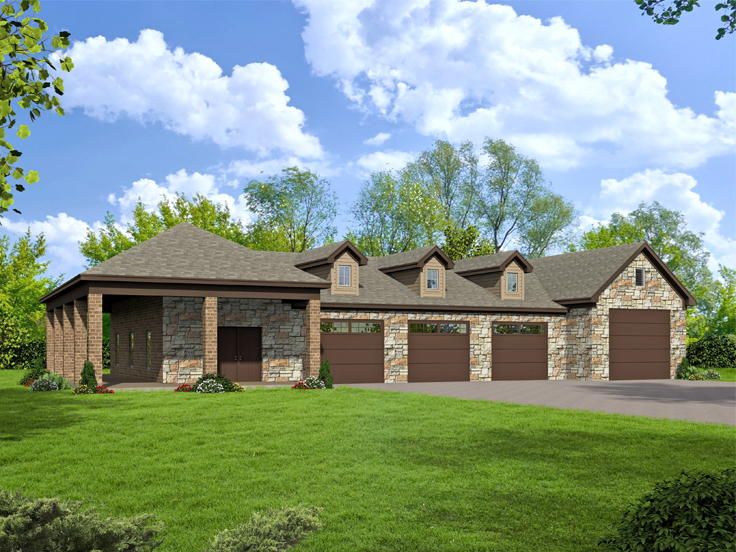 The Garage Plan Shop continuously adds new garage plans to our website. Below is a sampling of some of our newest designs. Take some time to learn about them. 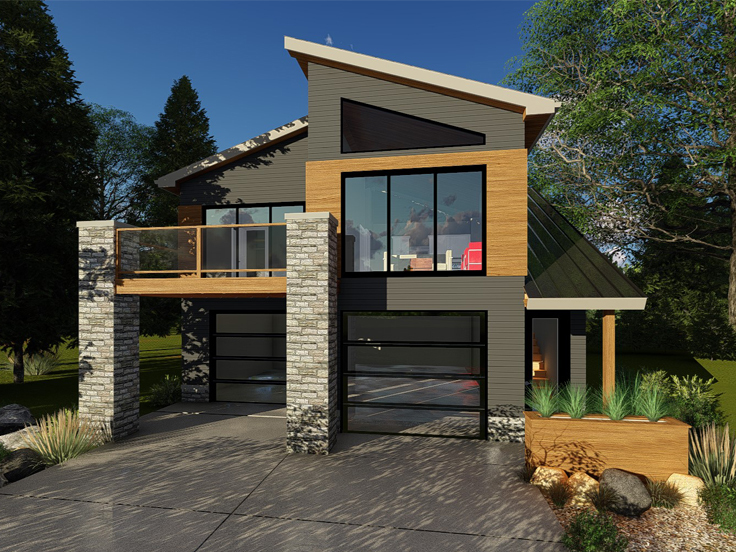 050G-0084: Here’s a fresh garage apartment plan presented in modern fashion. 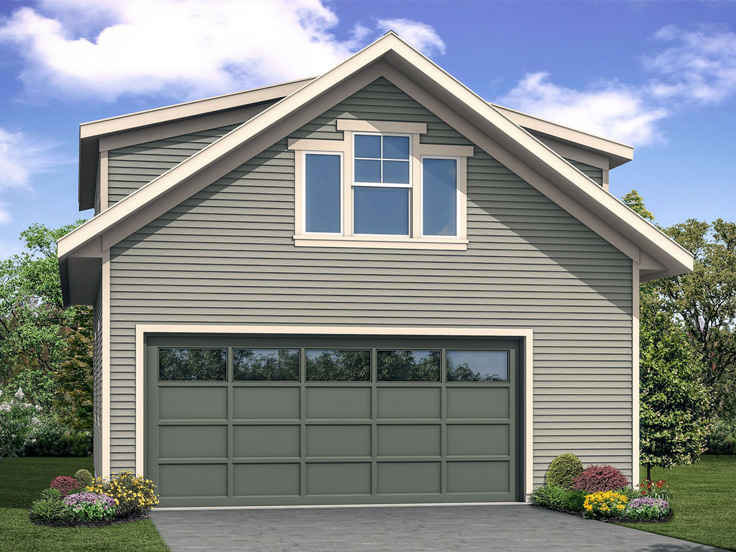 A two-car garage protects your vehicles from the elements, while covered porch leads to an interior staircase (and a door to the two-car garage.) Ascend the stairs to a nifty apartment showcasing an open floor plan and efficient use of space. A second story deck does double duty as it provides a covered drive for one of the garage bays. This design will complement any modern residence. 051G-0108: Sometimes you just need to get away to a man cave or she shed. 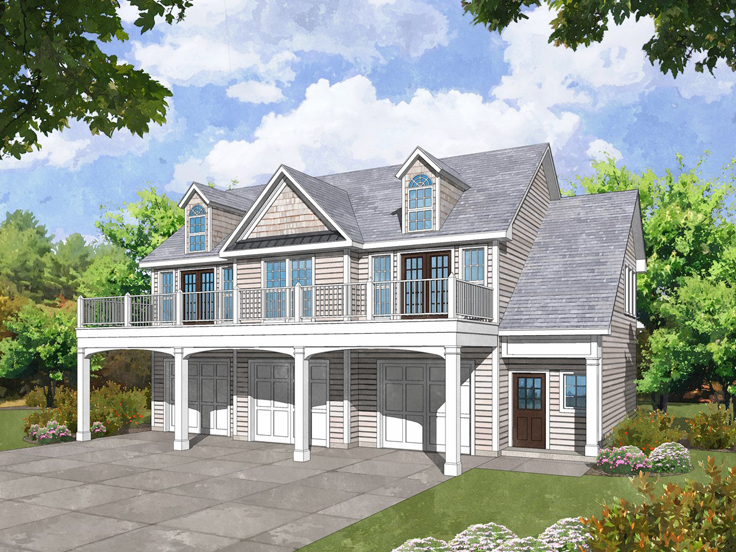 Consider this handsome plan that offers a two-car garage with storage closet and a rec room above. With a beverage bar and full bathroom upstairs, you can party all evening and invite guests stay all night. When the party’s over, use the rec room to pursue your hobbies or to escape the main residence for some tranquil alone time. 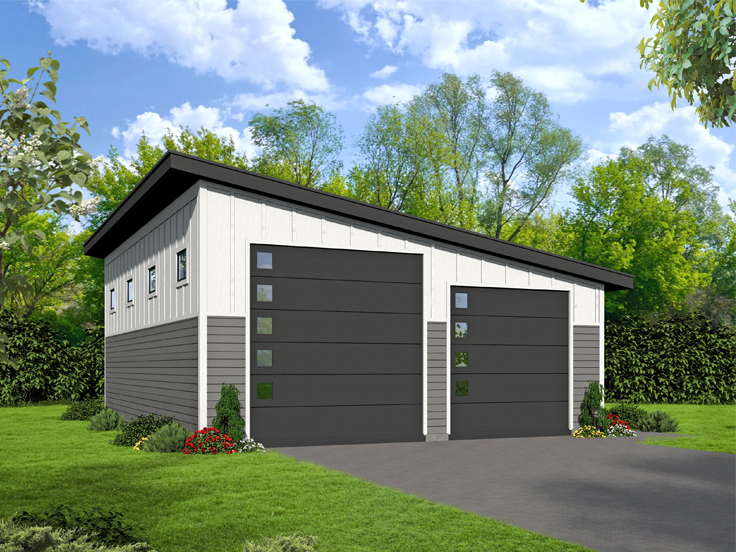 062G-0111: Here is a modern garage design for a modern family. With its sloped roof line, the left garage bay is tall enough for an RV or an auto lift, and the right bay is deep enough to park two cars, or a boat if you prefer. Consider this oversize garage for developing your own mechanic’s workshop perhaps with a lift on the tall side. 0 50G-0083: What a pleasant surprise to find a 700 sq ft loft above this attractive two-car garage. Whether the loft is used for storage or converted to hobby room or dance studio, you will enjoy stepping out onto the balcony through the double doors. A covered stoop leads to the protected stairs that deliver you to a world of possibilities. 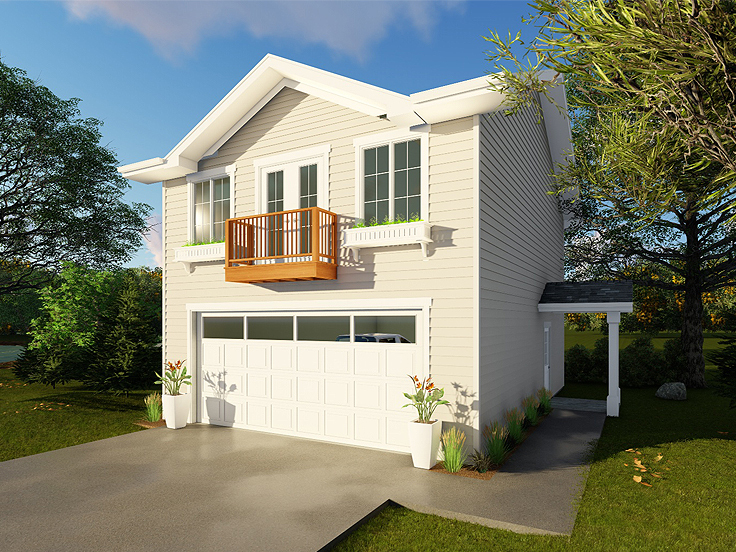 053G-0032: Three garage bays with three separate doors is just the beginning of this great looking garage apartment plan. A convenient full bath on the main level provides a place to clean up after working on vehicles. And up the stairs? Find yourself in a beautiful two bedroom, two bath apartment with an open floor plan. Vaulted ceilings, a kitchen island, a laundry room and a stunning deck accessed from the great room or the master bedroom are the highlights of the upper level. This appealing garage apartment would make a profitable rental property or a fantastic guest cottage. 062G-0112: Finally, a garage for all your hobbies! Start with three extra-deep bays for cars, a boat, trailer or oversized SUV. Next, there is a lift-friendly bay for a car lift, but it is suitable for an RV as well. The left side of the garage is designated for a hobby workshop with lots of space for a multitude of endeavors. It even has double doors for carrying in supplies and carrying out finished projects. When not diligently working in the shop, step outside to enjoy a wrap-around covered porch suitable for lawn furniture and a grill. If you’d like to browse our collection of garage plans to find the right design for your needs, please use our Advanced Search.